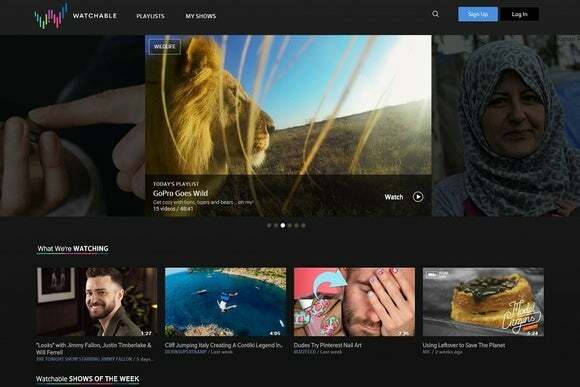 Comcast has launched its answer to YouTube and Facebook video with Watchable, a website and app for watching short-form online videos. Watchable is available now on the web and as an iPhone app, with no cable TV subscription required. Comcast Xfinity subscribers who have an X1 DVR box can also watch videos on their televisions. Still, Comcast is tackling an idea that’s hardly proven to work. It’s unclear how well Vessel is doing, and next month Samsung is shutting down its Milk Video service, which provided premium short-form videos on Galaxy phones and tablets. People are already well-accustomed to finding their favorite video creators on YouTube (and, increasingly, Facebook and Twitter), so even a company as unavoidable as Comcast may have trouble stealing viewers away. Why this matters: The launch of Watchable is interesting if only because it comes from such a major video industry player, but Comcast’s involvement also creates some unique challenges. For instance, the company points to Watchable’s availability on televisions as a big draw, but its reach will be severely limited without supporting other streaming devices such as Apple TV and Roku. Even then, most of Watchable’s videos clock in at just a few minutes in length, which doesn’t make for the most relaxing living-room experience. If Watchable can’t steer clear of Comcast’s conflicting interests (namely, renting more DVR boxes and preserving traditional video), it could go down as another failed YouTube alternative.